106.1 BLI Summer Jam Takes Over Jones Beach! June 1st marked the official start of our summer concert season with 106.1 BLI’s Summer Jam held at the Nikon Jones Beach Theater! The nearly 7 hour music festival featured a range of artists from Jason Derulo to Karmin, and Fifth Harmony to Cash Cash. We were most excited to see secretfangirls.com favorites Austin Mahone, Cody Simpson, Midnight Red, and AJR! We also discovered a new favorite artist to watch, New Hollow. America’s boy band Midnight Red kicked off the festival with their cover of Rihanna’s “Diamonds” and heated up the stage with their hits “Hell Yeah” and “Take Me Home,” complete with choreographed dance moves. (We highly approve!). 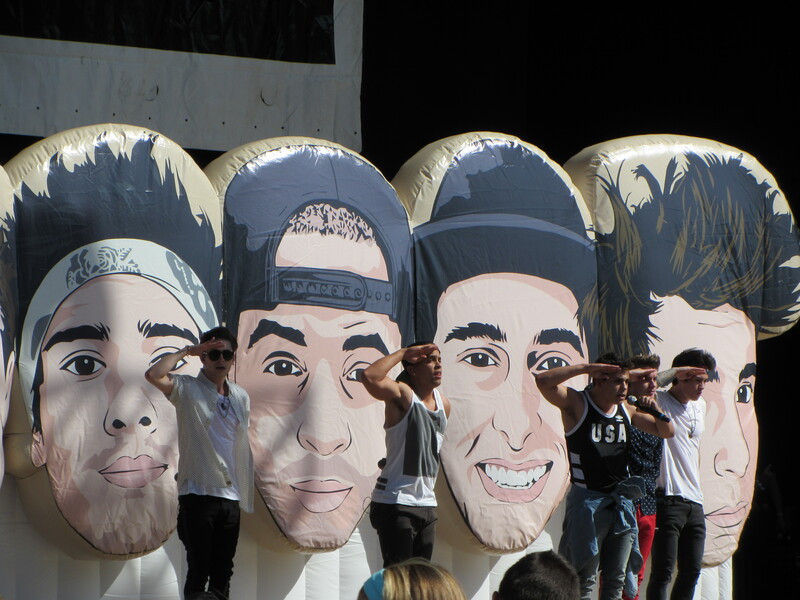 Behind the guys were giant inflatable caricatures of each member. New Hollow won us over instantly with their rocking cover of David Bowie’s “Rebel Rebel” – no easy task. Their original tracks like “She Ain’t You” have a 90s grunge sound and since we love anything and everything 90s around here, we may have found our new favorite band. They were the only artist on the lineup that we weren’t familiar with before the show and we’re so glad we caught their set! 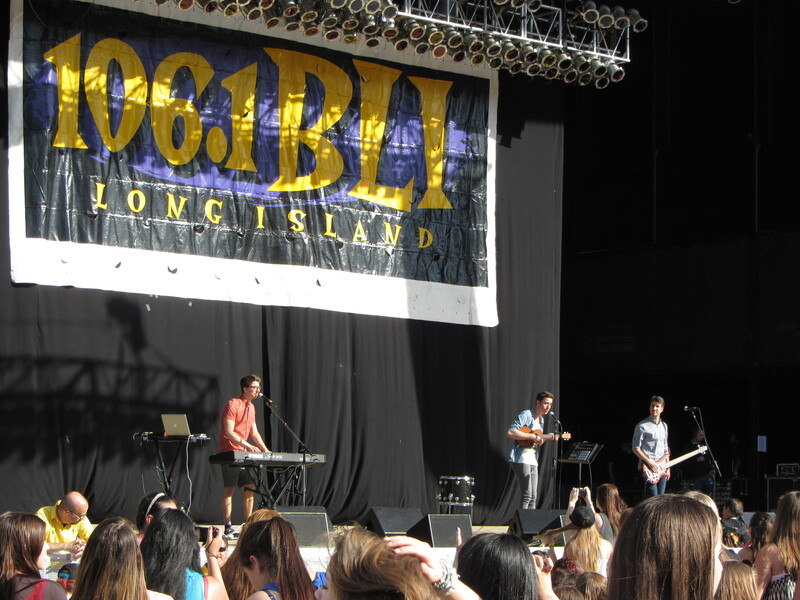 NYC-based indie pop band AJR played their biggest show to date to the crowd of nearly 15,000. We weren’t sure how their music would translate in a stadium setting, but they looked and sounded amazing as always. We love how unique AJR’s sound is – out of the 13 acts that performed, they had by far the most distinctive and original sound. We’re sure they gained a lot of fans – the whole venue was clapping along to “I’m Ready!” We also love how they still set up their own equipment. And did anyone catch the “I’m Ready” banner flying around the stadium? They’re total rock stars now! 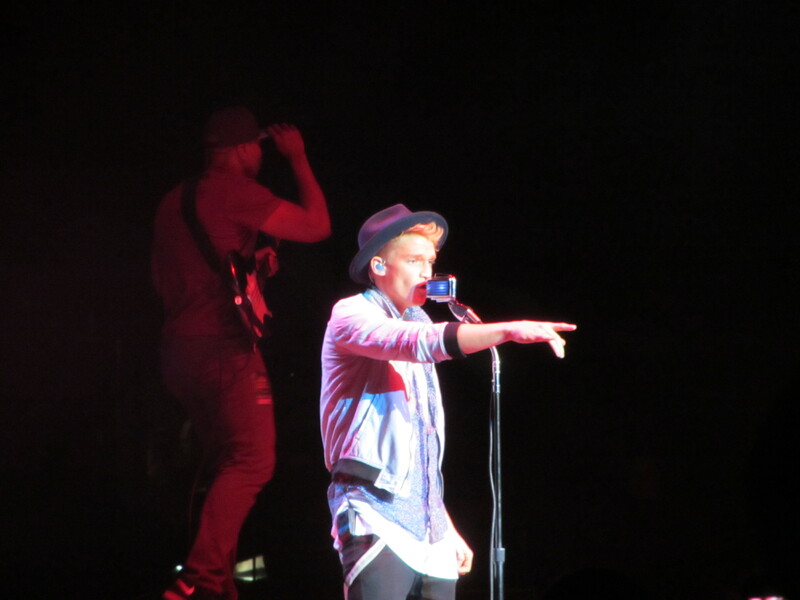 We’ve been fans of Cody Simpson since we saw him opening for Big Time Rush at Jones Beach on their summer tour. His laid back Australian surfer vibe and sound are perfect for the venue (which if you haven’t been to, is surrounded by water on 3 sides). While we were expecting him to dance more, especially following his stint on “Dancing With The Stars,” we were pleasantly surprised to see his guitar playing skills showcased instead as he played both acoustic and electric during his set, which included his new single, “Surfboard“. The crowd went wild for Cody and we’re hoping he’ll be back on another headlining tour soon! He’s heading off to Europe this week for his Acoustic Sessions tour. Of course the highlight of the evening was Austin MAHONE, who kicked off his set with a Banga Banga! We’re still fangirling over the fact that he played “Secrets” (our theme song) and “Next To You” from his new EP, “The Secret”. From Austin’s crisp boy band dance moves to his flawless vocals, it’s safe to say everyone at Jones Beach last night became a Mahomie! 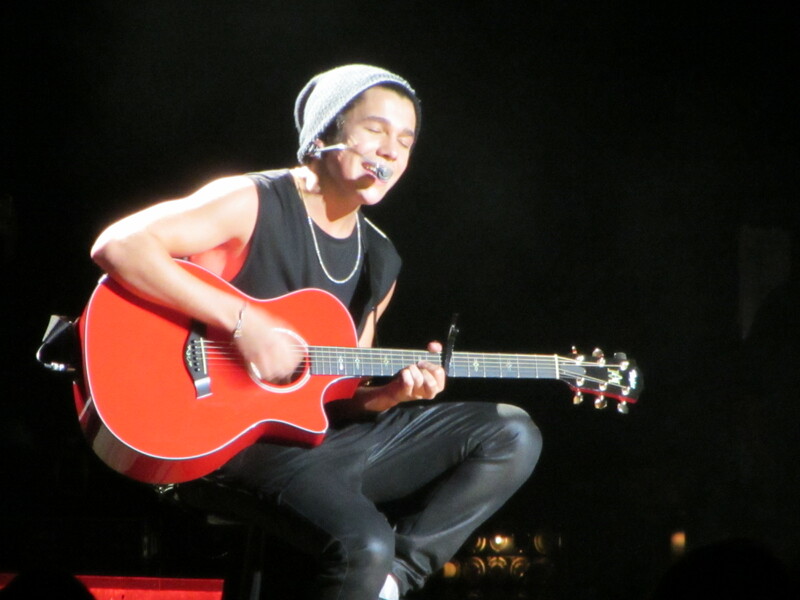 Austin also showed he’s multi-talented, breaking out the acoustic guitar for “Shadow.” He kept teasing the crowd with “one more song!” which thankfully turned into 4 more songs, including “MMM Yeah” and “What About Love.” We’re even more excited for his summer tour with The Vamps, because we just didn’t get enough Austin last night! BLI says they’re hoping to bring Summer Jam back in 2015, to which we say “YES PLEASE! !” Except, can we maybe have it on a Saturday next year? Be sure to follow 106.1 BLI, New Hollow, AJR, Austin Mahone, Midnight Red, Cody Simpson, and Secret Fangirls on Twitter for more updates! Previous PostNickelodeon’s WebHeads With Carlos PenaVega Premieres Tonight!Next PostiHeartRadio & Macy’s Rising Star Contest Finalists!